Put This One in Your POCKET And Save It For Later! Feedly is a site I use to have all of my favorite blogs and news feeds sent to me. If you haven’t used it, it’s sort of like a mailbox of your favorite magazines – and you get to pick which magazines make it in. (Not which articles, specifically, just the magazines/blogs/news feeds). I like to follow certain people’s blogs and definitely keep up with specific sources. Feedly brings me exactly what I’m asking for in that way. Pinterest is so awesome. I use it to ‘pin’ pictures of things I like, want to make, ideas to try, places I want to go. Basically, Pinterest (for me) works like a big ‘wish list’ or ‘gonna do’ list, and after I’ve tried/done/visited some of those ideas, I’m just really glad I still have them saved on Pinterest. I also use Pinterest to occasionally self-promote my own blog posts and articles. I can follow other people on Pinterest, and other people can follow me. You get the idea. Different curation (bookmarking) sites for different needs. Which brings me back to Pocket. THIS is a site I have long needed for a completely different reason. Sometimes, I just want to save a specific article to come back and read later. Or a blog post. Or even a website page. Enter Pocket. It’s super simple, works on all of my devices, and it has a bookmarklet! (like Pinterest) It’s interesting that Pocket used to be called “Read It Later“. I use Pocket when I’m on Twitter and someone suggests a blog post, but I’m trying to make it through a long Twitter feed and just want to remember to read it later. On my computer, I just open the link to the blog post, then click my little Pocket bookmarklet that sits up there next to the URL line in Chrome. Pocket kindly asks me if I’d like to name a category, I hit enter, and it’s saved. For later. 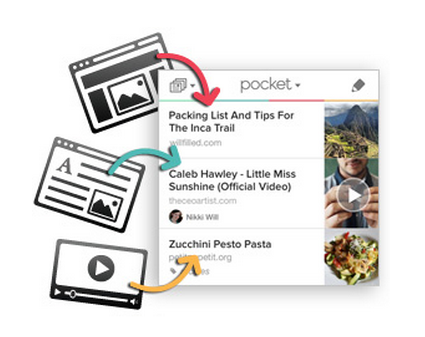 Pocket is great for Christmas or gift-giving lists, too. Again, I don’t want my Pinterest followers to see (Yes, I know I can create private boards, but I think Pocket is easier.) I can categorize under Christmas, or get even more specific with Christmas- Husband or Birthday- Suzie…yadda yadda yadda. Of course, Pocket has a search feature so I can find all of my things easily later, mark certain ones as ‘favorites’, and delete items after I have read them and no longer need them. 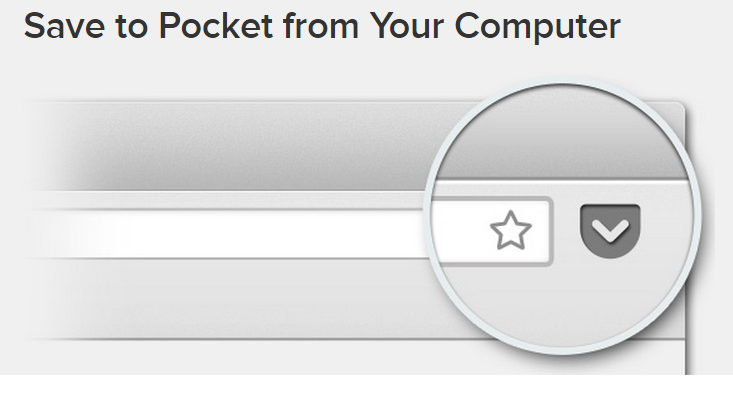 One more thing – Pocket has an app. I use this just as often because it’s not that often I want to read an entire article or blog post on my iPhone. In Twitter, if I just ‘long hold’ my finger on a blog hyperlink, it gives me the option to “send to Pocket“…and I use that a lot! I don’t want to over-explain this site, because it’s really just super simple and fun to use. Just get in there and start Pocket-ing your favorite stuff! You’ll be glad you did……later! And hey…if you didn’t have time to read this whole post or you want to revisit it later, why not just Pocket it! PhotoMath app…is it a good thing or a bad thing? This week, connected educators have been all over social media talking about a relatively new app to hit the scene – PhotoMath. 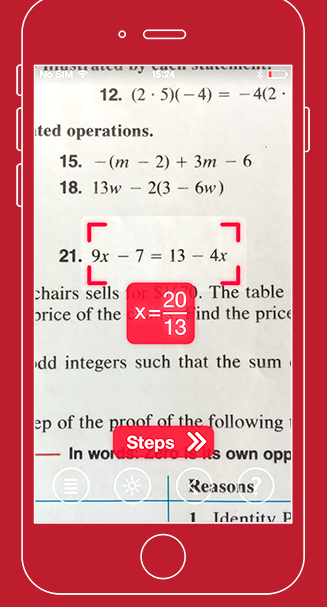 This is an app, which you can download for free from the App Store or Windows Store, which uses your device’s camera to scan – AND THEN SOLVE – Math problems. Yes, it actually solves the problems. Not only that, but then you can click on the “Steps” button, and it shows you step-by-step how the problem was solved! For all of those students who have teachers who mandate, “Show your work!”, this is a dream come true. Seriously! The student point-of-view on this is going to be pretty consistent – this is awesome technology! For educators, though, there is much debate and a lot of mixed feelings about PhotoMath. I’ve been following the tweets and several blog posts, and many educators fear the implications of an app like this. They say that if an app can solve problems for students, they’ll “cheat” and just use the app rather than learn the valuable problem solving skills themselves. This camp of educators feels that there is tremendous value and even a critical need for students to practice the logical steps involved in Math calculations. They call for stricter rules about BYOD use, and fear that unsupervised students will exclusively use this for homework. Teachers on the other side of this debate claim that it’s a great tool. They say that if technology is available that makes it possible to skip lengthy processes, why not use it? Their subsequent thought is that skipping all of the problem solving by relying on the PhotoMath app will give students an opportunity to use those results in higher-level, deeper thinking, real world problems…more time for PBL stuff and ‘taking it to the next level’. As for me, I’m torn. I understand both sides. As a primary school educator, I just can’t get past feeling the necessity of students learning their basic Math facts. I want students to be able to know how to do multiplication and long division. I guess that’s an old-fashioned value from someone who’s supposedly a forward-thinking tech geek like me. On the other hand, however, I tried the PhotoMath on some of my son’s high school Algebra problems – and it worked – and I gasped with delight! Both he and I were able to look through the steps of the problems and see how they were solved. A couple of educators I follow on Twitter had interesting ideas and thoughts. One teacher was planning on having his students solve the problems manually and then again with the PhotoMath app, to be followed by an analysis of the accuracy of the app and how closely the steps modeled their own steps. (Some reviews on the app’s website claim that the answers aren’t always right.) Another clever teacher was going to use it as a point-of-view writing exercise: choose whether the PhotoMath app is a good thing or a bad thing and defend your answer. I guess that writing teacher wouldn’t be too pleased with me. I take both sides. Below is a video that shows how PhotoMath works. Check it out, decide for yourself, and let me know your thoughts. You can reply at my blog at kerszi.wordpress.com, @kerszi on Twitter, or on Facebook as My Primary Techspiration.